Taking advantage of living in sunny California, I joined a CSA. A CSA stands for: Community Supported Agriculture. CSAs make it possible to purchase local, organic, seasonal fruits food directly from the farmer. I have the advantage of living near several different CSA's. Most of them consist of a mixture of fruits and vegetables. However the CSA I joined is geared for kids and only sells fruit; a large variety of delicious fruit. We also get to try fruits that we have never eaten before. For example, the grapes in the picture above are not your ordinary green grapes. When you bite into the grape, it tastes exactly like you are drinking apple cider. My boys and I loved them and are looking forward to what surprises we will find in next week's box. After being out of town for a week on a cruise to Alaska, having my entire house under construction, starting to prepare for the new school year in my new classroom and with the first day of school tomorrow for the boys, our schedule has been hectic. It was a perfect day to escape the first day of school jitters and play hard. We met some close friends for a picnic and kept the afternoon free of waste. It was hot today, which meant preparation of extra reusable water bottles were necessary, a cooler with a lot of ice and a zero waste lunch. After a long day in the sun, the boys are trying to settle down and prepare for their first day of school. We are not ready to say good bye to summer, however we are excited about making friends in our new school. 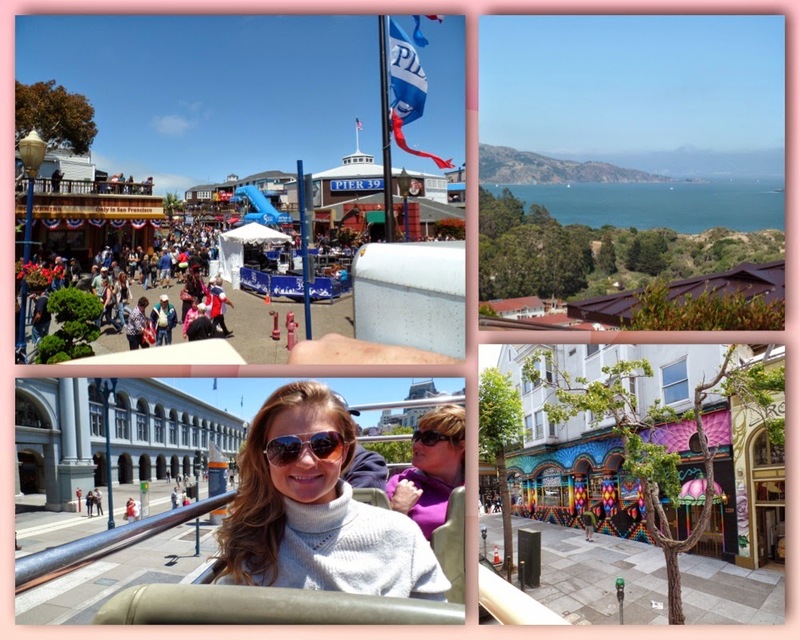 Living near San Francisco, what better way to see the city but to be a tourist. I went on a bus tour last summer and enjoyed it immensely. The weather was great, wasn't a cloud in the sky, low wind and the tour guide was extremely informative. 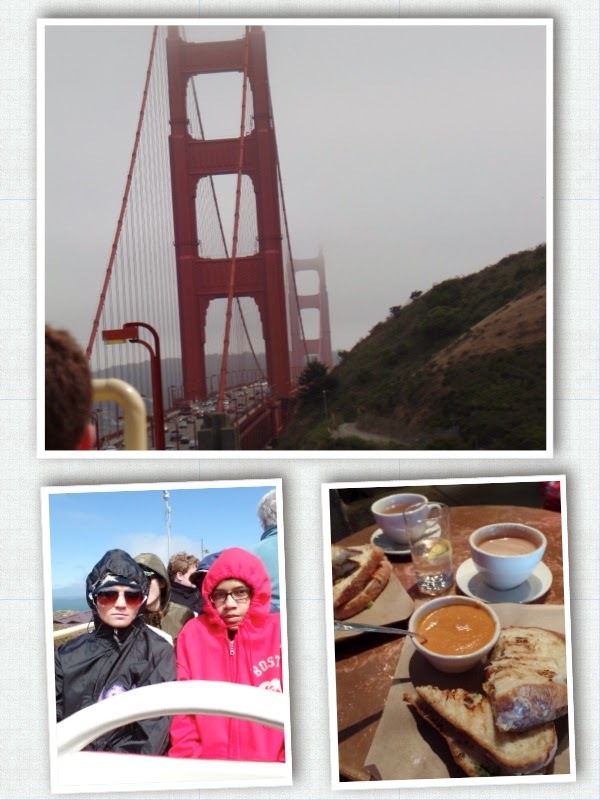 I had high hopes that this trip would be the same for my children to enjoy. The journey started wonderfully. The morning was beautiful, the sun was shinning and we were full of excitement. The fog quickly rolled in, along with the wind, 20 minutes into our bus ride. Our tour guide was obsessed with checking the traffic report, rather than telling us about the buildings we were passing. He also told one joke over and over, which was funny the first time, but got old quick (Did you know that Lombard Street isn't the crookedest street in American? Wall Street is!). After the fifth time we started to tune him out. Unfortunately we didn't learn anything and from the picture below, the weather was taking a toll on us and the kids were ready for our adventure to end. The city was still beautiful and had some great views. After the bus tour, we went to our favorite organic restaurant and ate our hearts out. They serve all food on washable plates/utensils/cups, no straws and have compostable paper boxes for left over food. Our zero waste dinner made up for the cold bus tour. 1) Don't go in July unless you have your winter coat, hat and gloves. It is the coldest month of the year. 2) Pick a guided headphone tour instead of a person guided tour. You can bring your headphones so you don't waste plastic on their headphones. Has anyone else had an outing gone awry this summer? Going zero waste at a baseball game took some preparation, however it was not difficult. My motto for zero waste has become research and preparation. In this case, I was glad that I did my research and found out that we were not allowed to bring in our stainless steel water bottles. We normally bring our water bottles wherever we go. By checking the stadiums rules regarding bringing food and drinks, we knew to leave our water bottles at home. The stadium only allows unopened plastic bottles. We really did not want to bring in and drink from the plastic bottles. Our alternative was to purchase drinks in paper cups and keep the cups to put in our compost at home. We decided to eat dinner at home before the 7pm game. Better food and we can control the waste. We enjoyed to game even though the Giants lost. 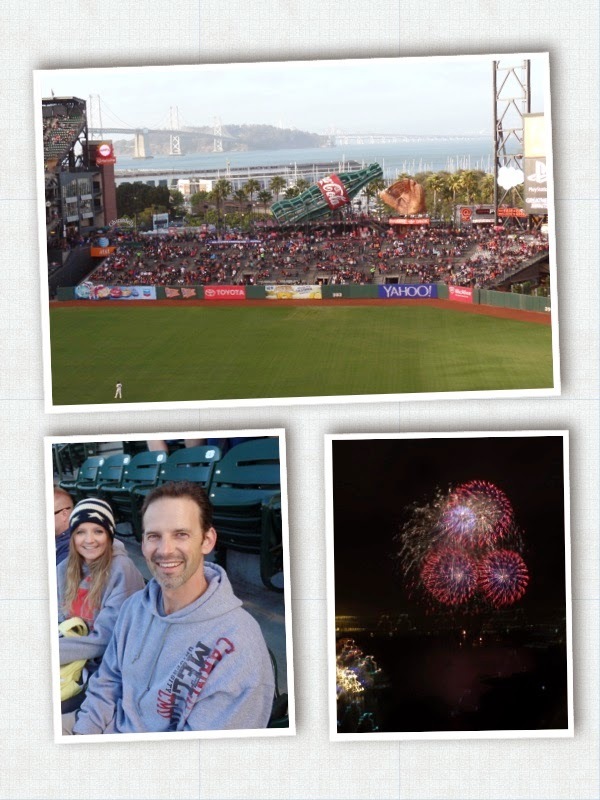 And we had a bonus: we were there for the Giants' July 4th firework display. We were new to geocaching a few years ago. 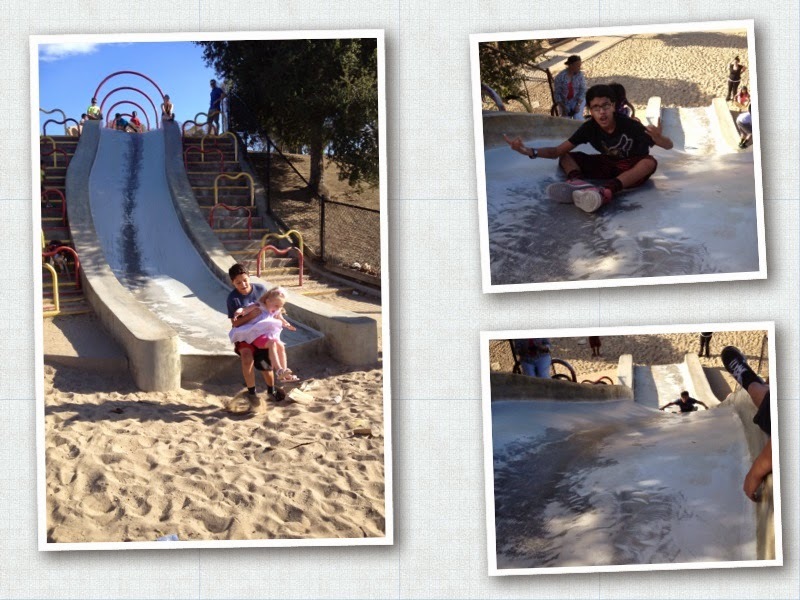 It is free, zero waste, adventurous and requires family bonding time. For those that are not familiar, geocaching is an outdoor treasure hunt all over the world. To start was simple; I downloaded the geocaching app on my phone and searched caches by our house. We then used my phone as a compass/map to find the hidden treasure. Ok, so the treasure is usually a piece of paper that you write your name and the date, but it is exciting to be the one to find the hidden cache. Has anyone else geocached? Did you enjoy it? Find it to easy/difficult? If you are interested in more information, click this link. "Pay the farmer now or pay the doctor later"
That is the motto my friends and family hear me say all the time when I am asked why I would want to buy only organic food. The question I am asked the most is; how can you afford to buy only organic and free range food? Here is how my family of 6, with an average income, can afford to eat almost completely organic food. 1) Cooking from scratch and eliminating processed foods from our diet has dramatically decreased our need to go visit the doctor. This saves us on co-payments for the doctor and medication. No one in my family is dependent on medication for illnesses due to poor diet such as high blood pressure, high cholesterol, diabetes etc. 2) By shopping in bulk, the perimeter of the store, and avoiding processed foods, our grocery bill has not gone up and in fact I have noticed a decrease in our food spending. While cooking all of my own foods may take more preparation and planning than buying a frozen dinner, it is healthier, more cost effective and I know exactly what ingredients my family is eating. 3) Making my own laundry detergent and home cleaning products. While this saves us money, it also is better for our health and the environment. Making detergent is also quick to make, my 12 year old can make it in 5 minutes. If you are interested in making your own, I would be happy to share which products we use to make our laundry detergent. 4) Living a zero waste lifestyle we are very conscious of buying second hand items whenever possible. This is a huge money saver which allows us to manipulate more money into our food budget if needed. 5) "Couponing" has helped our family get the products we need at acceptable prices and often times even free. I started couponing a few years ago and it has dramatically changed the way we shop and helped us save hundreds of dollars on shopping expenses. While most food coupons are for processed foods, there are still some great coupons out there for the organic section at my local supermarket. Couponing doesn't only help us save money when it comes to buying groceries, either. It also helps us save on other expenses as well, for example: shampoo and conditioner, shaving cream and razors, feminine products, toothbrushes, and more. The best part is that with our advanced technology we can still cut back on waste by uploading the coupon to our smart phone and scanning our phone at the register, rather than printing out so many coupons and wasting paper. Eating organic does not need to break the bank. It depends on how you budget your money and what is important to you. For us, eating food without pesticides, antibiotics, hormones and cage free is our priority. If eating healthier and being healthier is important to you, then these changes will become easier over time and you should start noticing a positive difference with your health and not your wallet.